Yup, another highly impractical monospaced font. 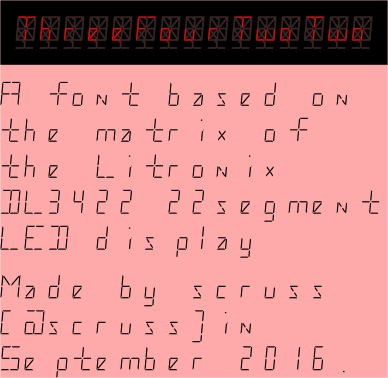 This one is based on a short-lived 22 segment display made in the early 1980s by Litronix (datasheet). 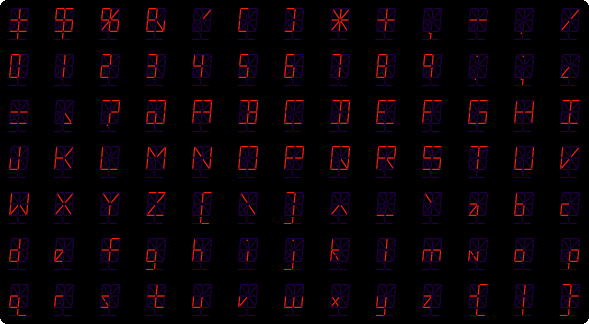 It’s also on Fontlibrary: ThreeFourTwoTwo.